Earlier today, catching up on my daily Reddit, I came across an article comparing the different methods of building mobile websites over at Six Revisions. Mobile web development is something that I've been working on ever since I got my first smart phone, the Android powered Motorola Droid 1. The phone was relatively light on resources compared to the monsters we have today, and large websites loaded slowly, and made the phone crawl. When it came time to actually design a mobile website, though, I ran into problems. I thought "this is what CSS is for! ", but mobile browsers didn't pick up on the "mobile" tagged style sheets, and so I needed a better solution. One option that was becoming popular at the time was to make some sort of mobile portal, like "m.omniimpact.com". Unfortunately, this is an SEO and content management nightmare. Finally, I settled on a hybrid approach, using a special PHP script that I wrote (you can find the oi_mobilesupport script on Github) to make sure that pages could be presented in a mobile-friendly manner, while not requiring duplication of content. Then, there came the responsive web design revolution. Responsive web design is a technique using CSS media queries to adapt the CSS on a website based on the width of the viewport. 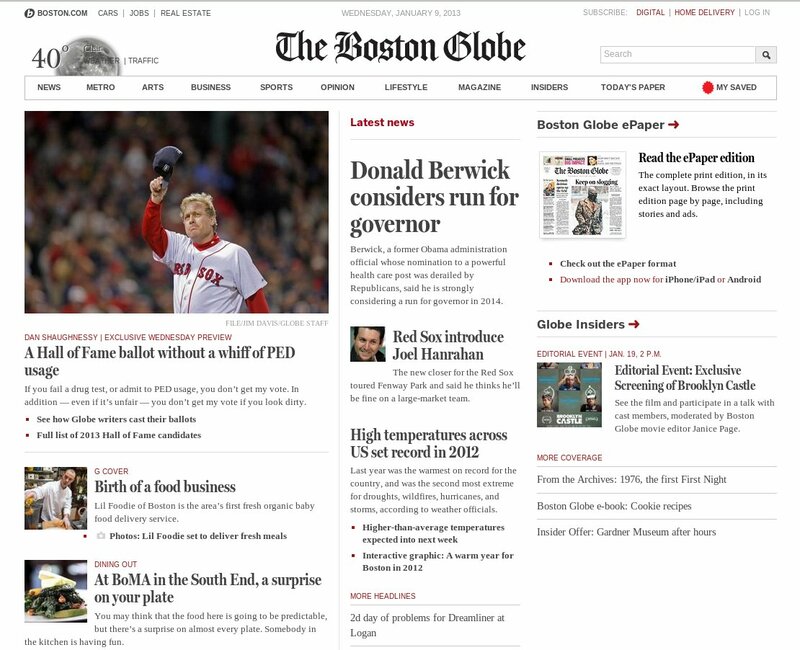 Now, some websites have embraced responsive design to fantastic effect. 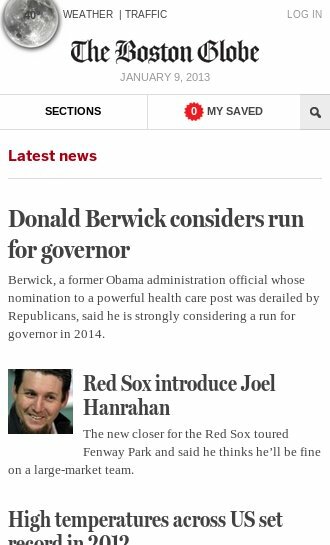 The Boston Globe is one of the best. 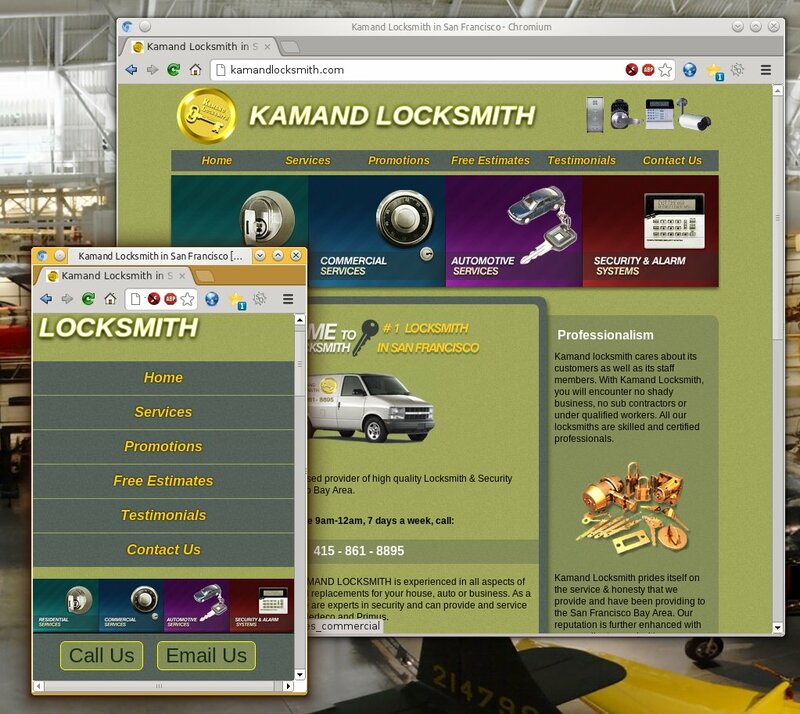 The site displays all content in all view modes, fitting neatly to the size of the browser window. Resize even your desktop browser and watch the website adapt. the equivalent of tablet screens. 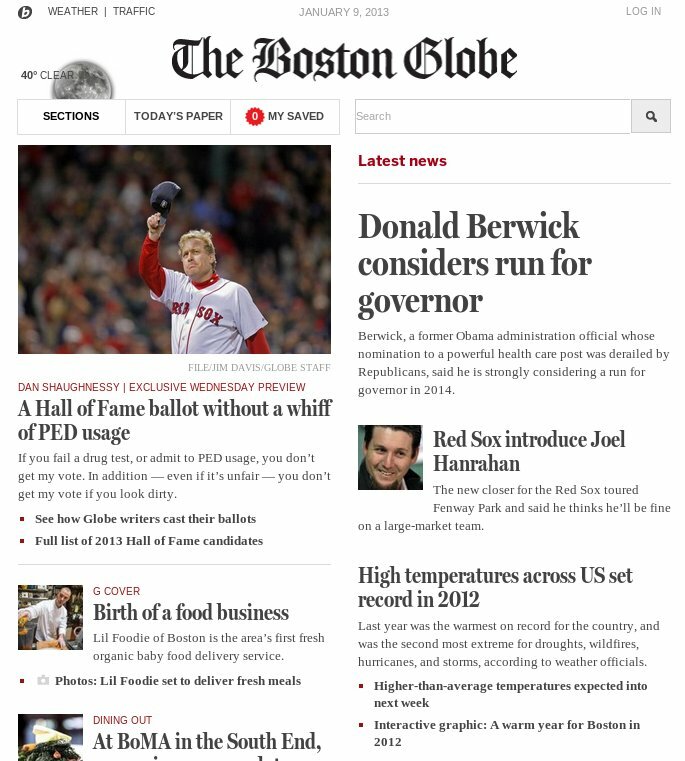 Unfortunately, the Boston Globe is somewhat unique in how well the technique actually works. Being a newspaper, the website is naturally text heavy. They can squeeze by with just one dominant image on the home page, and the rest being mobile-friendly sizes even on desktops. Although it is possible to make other types of websites scale, I often found responsive websites to exhibit the same problem I was trying to avoid in the first place; slow load times and poor performance. equivalent content instead of a limited mobile website. The article from Six Revisions takes on the question of mobile web development techniques with great examples, clear pros and cons of each technique, and doing some actual timing of websites that use each of them. The convenience of non-duplicated data, the benefits to SEO, and significantly improved load times were all reasons that I always liked the hybrid approach and implement it in the websites that I create. I was pleased to see that same approach receive some oft-forgotten love from Six Revisions. To give you a quick summary, the three major methods of creating mobile websites are dedicated mobile sites, responsive design, or a hybrid method, which often utilizes server-side browser detection. Dedicated mobile websites require a copy of the original data, can cause problems for search engine optimization if used incorrectly, often have difficulty redirecting users to the appropriate content on the other site, but they load quickly and can have highly tailored user interfaces. Responsive websites are often slow to load, difficult to make properly, and you are limited by what you can do with CSS, for example, adding or removing elements can be done, but requires all the elements to be loaded anyway, increasing load times. Responsive design also offers no option for the user to choose their preferred website experience. Hybrid design delivers a mobile-optimized version of the websites code, but utilizing browser detection instead of a different URL. When done properly, hybrid mobile website design provides the quick loading of a dedicated mobile site, without the data duplication or SEO nightmares. A good example of how hybrid design can take advantage of server side processing is presenting an alternate footer, as shown in the above screen shot. Note that on the mobile version, a fixed footer provides quick access links ( tel: and mailto: ) that will open the appropriate app on the user's phone. This code is used only when in mobile mode. On the other hand, the additional images used in the header are blocked on the mobile version, rendering the header with only text to speed load time. To get the details, check out the full article article at Six Revisions.